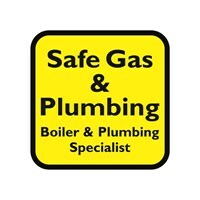 Safe Gas & Plumbing Ltd - Central Heating Engineer, Plumber based in Hove, East Sussex. 10 YEARS FREE BOILER COVER ON WORCESTER BOSCH BOILERS FITTED BY US. We are Brighton and Hove's award winning boiler installers, specialising in all heating and plumbing work. We are proud to be one of the best, providing a professional reliable and efficient service to all our customers. We are local Plumbers in Brighton who are also Platinum accredited Worcester Bosch Boiler installers in the Brighton Hove and surrounding areas and therefore able to offer you an exclusive 10-year parts and labour warranty on Worcester boilers we install. Our plumbers have vast experience in boiler installations, service and repairs to all makes of boilers plus all general plumbing related problems. We work 7 days a week, so whenever you need a plumber please call us for a fast response. Finance is now available on all our boiler installations. We cover Brighton & Hove, Worthing, Haywards Heath, Henfield, Hassocks and all surrounding areas. We currently do work for several letting agents in Brighton and Hove. All our boilers are fitted to the highest standards with a 7 days help line. We work weekends and after hours to suit your needs. Please click on the link below to visit our website. A link straight to the Worcester proof of accreditation is here Safe Gas and Plumbing. Brighton, Hove, Henfield, Shoreham, Worthing, Steyning, Lewes, Newhaven, Uckfield, Burgess Hill, Haywards Heath, Hassocks.